Trends have always come and gone, but this in itself is taking it to a whole other ridiculous level. 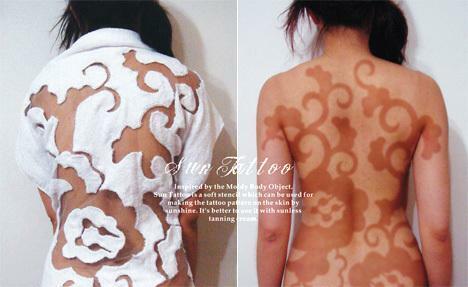 This summer, girls and guys alike are creating ‘art’ on their skin by applying sunscreen in giant dollops, in places that they would wish to remain ‘skin coloured’ as compared to the ‘burnt skin’ that will turn tan under the sun, thus creating a ‘tattoo-like’ effect. 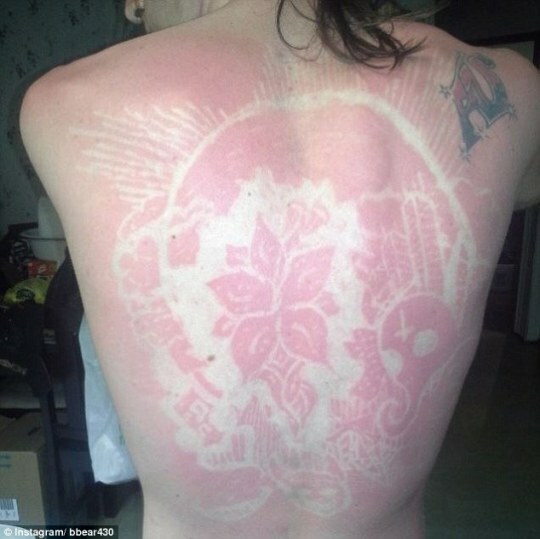 Titled #sunburntart on Instagram, people have been seen showing off their health-harming art on social media. Dermatologists are warning the public to stay away from this particular trend, as it could cause melanoma (skin cancer). Check this weird trend out, and tell us what you think!